8 – Remote Thermal Sight: We have built for you the Kinetic Maxx-Pro. Here you have the conclusions of our study of it. We hope it will be useful when you build yours. 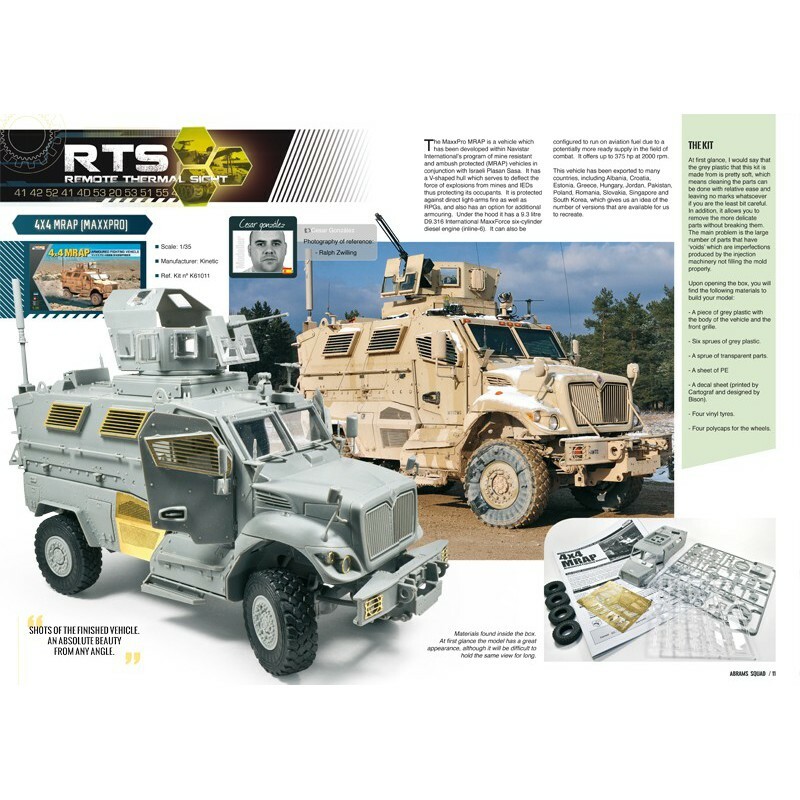 As usual, the OOTB assembly comes accompanied with pictures of the real subject in order to compare with the model. 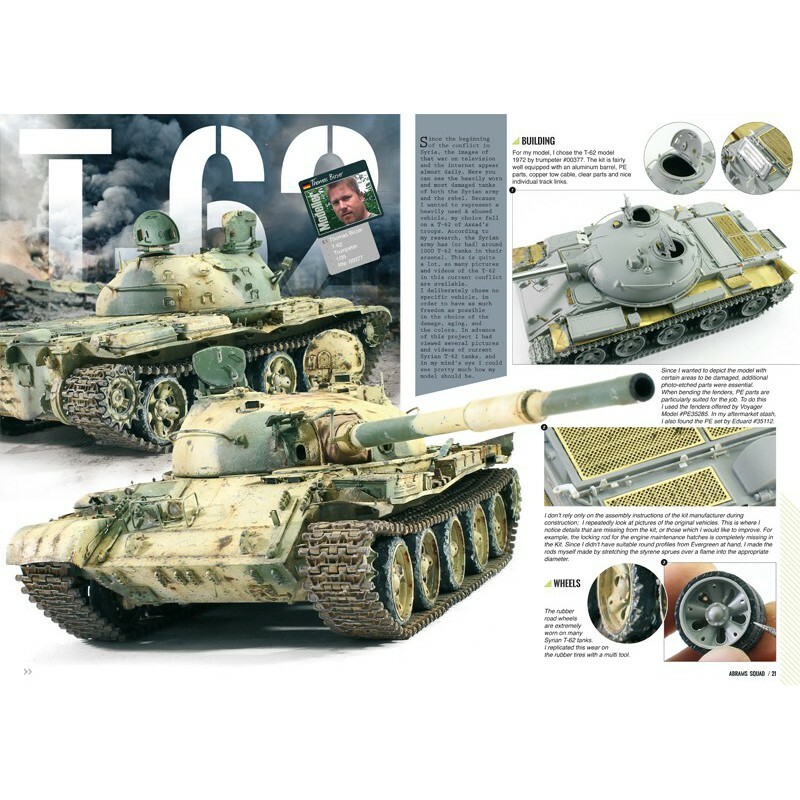 20 – T-62 model 1972:Undoubtedly the current Syrian conflict attracts the interest of many modellers. 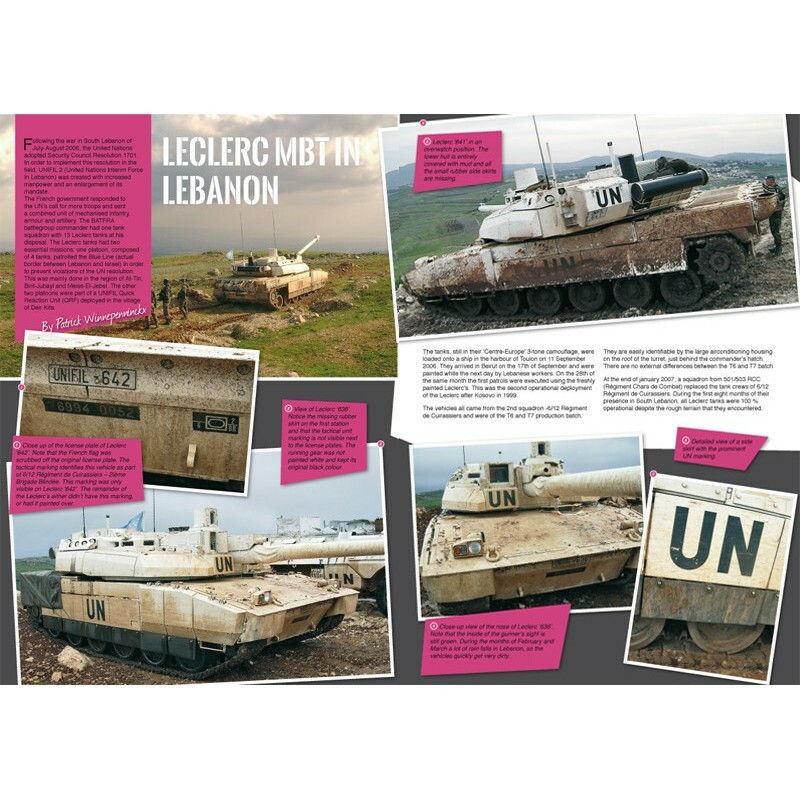 This one has been Thomas Birzer's case, which offers us one of the most emblematic vehicles of this war. As you can see, he has achieved a very realistic and charming finish at the same time. 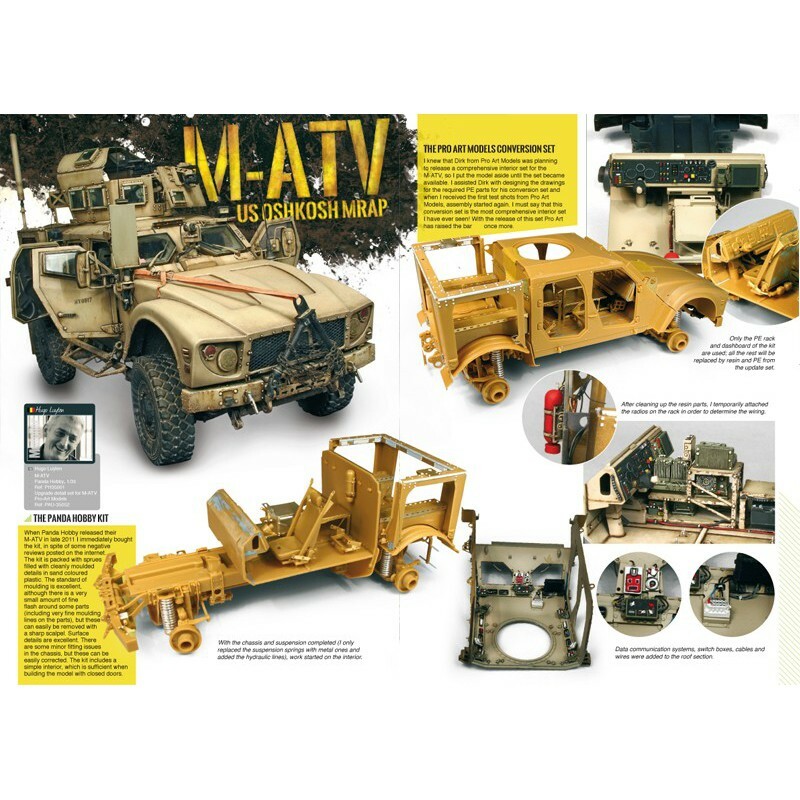 32– M-ATV : We see great quality models very often, but rarely we stumble over one of those models that “take our breath away”. 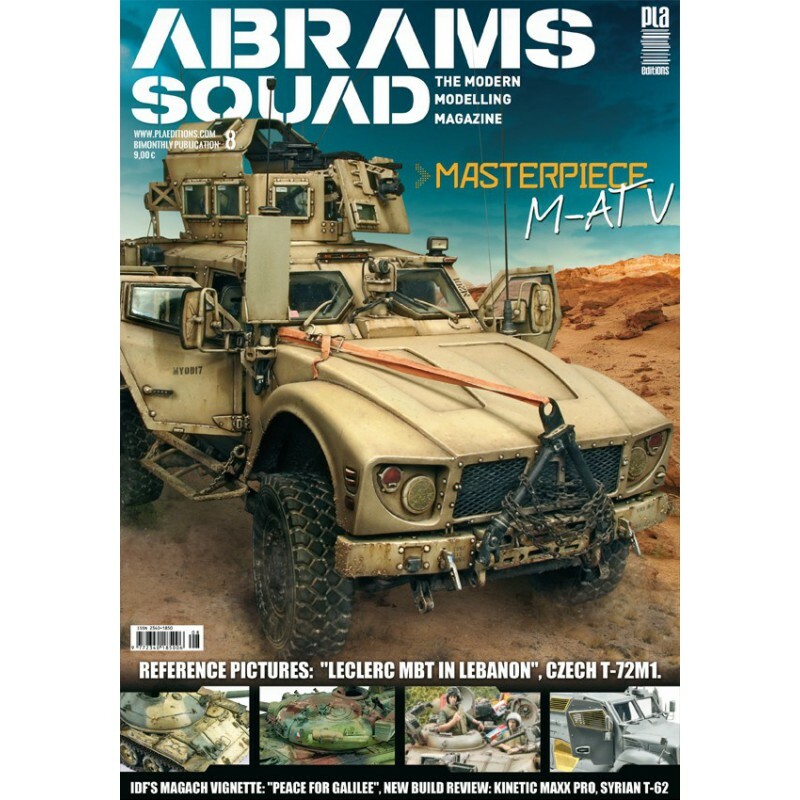 When you read the Hugo Luyten's M-ATV article you will deal perfectly that we are talking about. 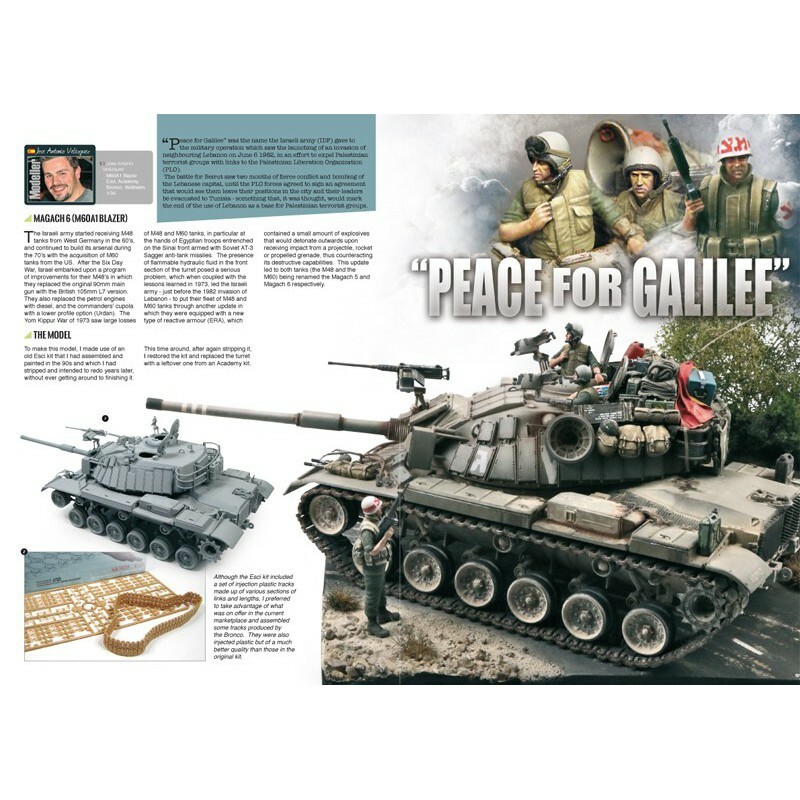 46 – Operat ion “Peace for Galilee”. :Magach 6 (M60A1 Blazer) :Jose Antonio Velázquez approaches Israeli topic with his habitual mastery. He has obtained a thorough job. He transports us to Galilee and he is able to show us, in minimum space, how the Magach were, how they were dirtying, how there were damaged and how their crews were. 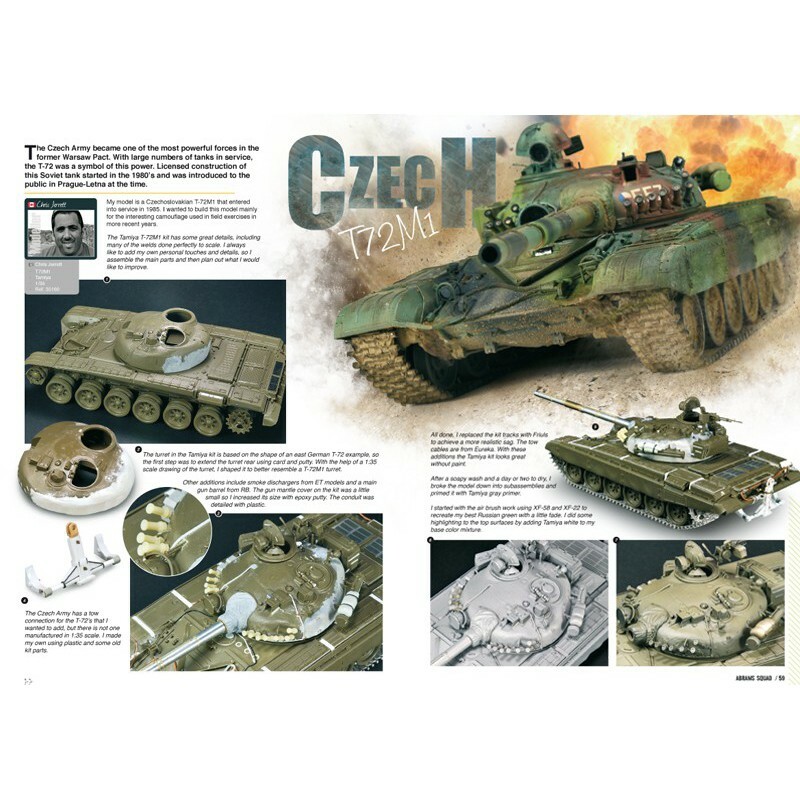 58 – T-72 M1 Czech : Top-class Weathering at the hand of Chris Jerret. But this time on a Czech!!! vehicle. A cold war T-72 M1 with unusual camouflage. His article will be inspirational for your models. You can be sure of that. you will like and try it soon in your next model.